Metallic nanoparticles display fascinating properties that are quite different from those of individual atoms, surfaces or bulk rmaterials. They are a focus of interest for fundamental science and, because of their huge potential in nanotechnology, they are the subject of intense research effort in a range of disciplines. Applications, or potential applications, are diverse and interdisciplinary. They include, for example, use in biochemistry, in catalysis and as chemical and biological sensors, as systems for nanoelectronics and nanostructured magnetism (e.g. data storage devices), where the drive for further miniaturization provides tremendous technological challenges and, in medicine, there is interest in their potential as agents for drug delivery. 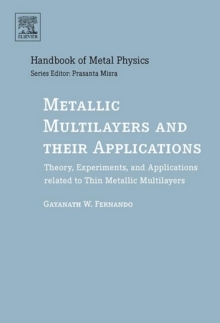 The book describes the structure of metallic nanoparticles, the experimental and theoretical techniques by which this is determined, and the models employed to facilitate understanding. The various methods for the production of nanoparticles are outlined. 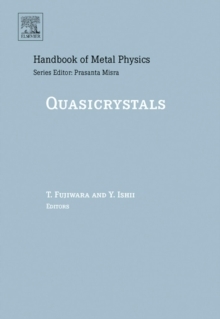 It surveys the properties of clusters and the methods of characterisation, such as photoionization, optical spectroscopy, chemical reactivity and magnetic behaviour, and discusses element-specific information that can be extracted by synchrotron-based techniques such as EXAFS, XMCD and XMLD. The properties of clusters can vary depending on whether they are free, deposited on a surface or embedded in a matrix of another material; these issues are explored. Clusters on a surface can be formed by the diffusion and aggregation of atoms; ways of modelling these processes are described. Finally we look at nanotechnology and examine the science behind the potential of metallic nanoparticles in chemical synthesis, catalysis, the magnetic separation of biomolecules, the detection of DNA, the controlled release of molecules and their relevance to data storage. The book addresses a wide audience. There was a huge development of the subject beginning in the mid-1980s where researchers began to study the properties of free nanoparticle and models were developed to describe the observations. The newcomer is introduced to the established models and techniques of the field without the need to refer to other sources to make the material accessible. It then takes the reader through to the latest research and provides a comprehensive list of references for those who wish to pursue particular aspects in more detail. 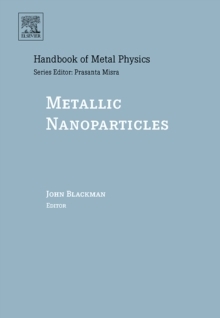 It will also be an invaluable handbook for the expert in a particular aspect of nanoscale research who wishes to acquire knowledge of other areas. 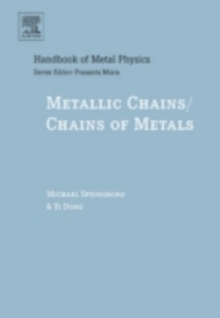 The authors are specialists in different aspects of the subject with expertise in physics and chemistry, experimental techniques and computational modelling, and in interdisciplinary research. They have collaborated in research. They have also collaborated in writing this book, with the aim from the outset of making it is a coherent whole rather than a series of independent loosely connected articles.